Paperchain will be launching this very soon we are finalising the design and print details. 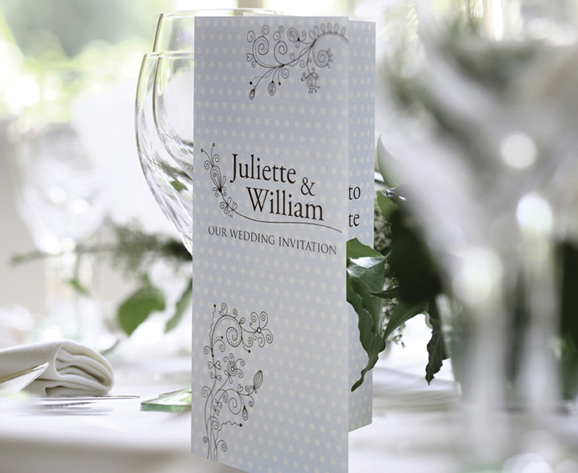 The Polka dot is a pattern wedding invitation card consists of an array of filled circles, equally sized and spaced relatively closely. The overall pattern is complemented by a classical floral illustration. This wedding invitation can be colour matched to any colour so if you want to run the colour theme through your wedding then this classical but fun design will be ideal.